The Story of the Predestined Pilgrim and His Brother Reprobate. Alexandre de Gusmão. Trans. Christopher C. Lund. 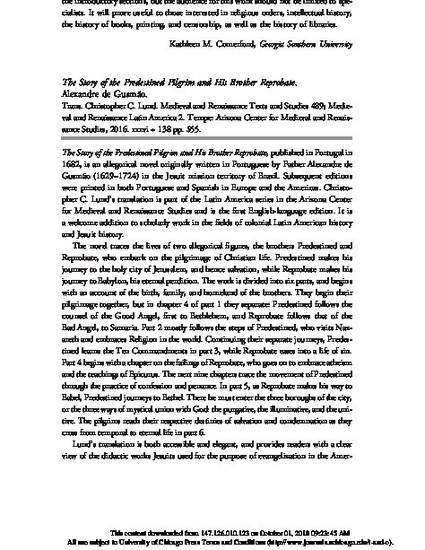 Medieval and Renaissance Texts and Studies 489; Medieval and Renaissance Latin America 2. Tempe: Arizona Center for Medieval and Renaissance Studies, 2016. xxxvi + 138 pp. $55.